Retirement benefits play a key role in protecting your financial security. After spending decades investing your hard work in accumulating these benefits, it can be devastating to have your claim delayed or denied. At Kantor & Kantor, LLP, we provide the aggressive legal representation you need in these situations. 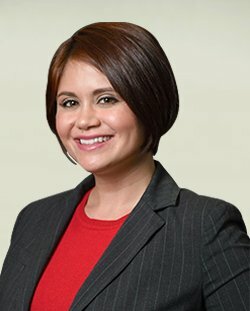 Whether it involves guiding you in filing for benefits, defending your interests in disputes, or appealing your case, our San Diego retirement claim attorneys act as a trusted ally on your side. Disputes and Delays in Receiving Your Retirement Benefits? You failed to provide adequate information or documentation in submitting your claim. At Kantor & Kantor, LLP, our San Diego retirement claim attorneys can help you avoid the above types of issues. In certain situations where a claim is delayed, disputed, or denied, the problem is not with the filing but with the actions of plan administrators. Under ERISA and U.S. Department of Labor guidelines, employers must follow complex rules and regulations when it comes to administration of retirement benefits. Once you file a claim, plan administrators have up to 90 days to make a decision and may request an additional 90 days. Filing an appeal and making compelling arguments in your case. If your claim continues to be denied after filing an appeal, Kantor & Kantor, LLP has the legal knowledge and expertise to pursue your benefits through a civil court case. When your financial security is on the line, you can trust Kantor & Kantor, LLP to help you get the benefits you are entitled to. To request a free consultation, reach out and contact our San Diego retirement claim attorneys today.